Though it is planned, its victims are random; in the case of the deaths being investigated it is the other way round: the victims seem ‘chosen’ but the invetigators cannot fathom a ‘plan’ behind the killings. The Chain of Chance doesn’t display the imaginative bravura of The Cyberiad, but it does make for an engrossing mystery, and one which, when the solution is revealed, makes Lem’s philosophical point without breaking the rules (i.e. the clues presented in the narrative are clues). The translation, by Louis Iribane, leans heavily on American vernacular at times, which is at least better suited to the detective genre than science fiction, though the line “displayed on the poster was an enormous fanny” did make me wonder if I had accidentally wandered into Trainspotting. 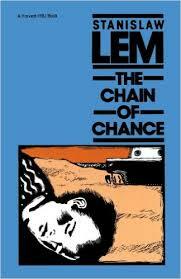 What is clear in any language is Lem’s restless inventiveness and his refusal to be constricted by whatever genre he writes in. Stanislaw Lem is a writer who has not been well served by UK publishers or (apparently) translators – a number of his books having been translated into English via other languages. It is therefore a pleasure to discover Penguin Modern Classics releasing The Cyberiad (which was followed this year by The Star Diaries). Both are translated by Michael Kandel who clearly, judging from the amount of word play involved, has a very good grasp of Lem’s intentions. (They are not new translations, however, the English language version of The Cyberiad appearing in 1974, nine years after its Polish publication). Throughout the stories it is the constructors very human flaws and reactions, despite their genius, that create much of the humour, whether directed at their creations, or at each other. In ‘A Good Shellacking’ Trurl presents Klapaucius with a “Machine to Grant Your Every Wish.” Suspecting that Trurl has hidden inside the machine in order to spy on him, Klapaucius asks it to create a Trurl whom he proceeds to beat on the basis that it isn’t the real Trurl. And so it goes on. 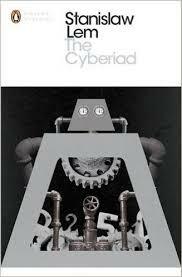 The Cyberiad seems to be not so much a celebration of science but of fiction. Trurl and Klapaucius’ machines are creations rather than inventions, relying on imagination not scientific discovery. Their plans rely on the logic of narrative rather than reason. On this basis it seems almost accidental that Lem wrote something that looked like science fiction; whatever genre he chose it seems likely he would have transformed and transcended it. You are currently browsing the archives for the Stanislaw Lem category.